Wolffs & Amans are artists and creatives ourselves, boasting varied media and musical projects, and we understand the challenges of promoting your work as an artist. Creatives need time and space to create, and pouring over new technologies and social marketing avenues shouldn't be your top priority. We focus on building you a cohesive, creative brand package so you can focus on what matters most, your art. The websites we build for you are living, personal galleries where your life's work lives and breathes. If your art is for sale, we provide the tools. Our gorgeous, photo-heavy sites add personality where it counts. Personalized copywriting weaves your story into this new look. We use Squarespace to do the job quickly and beautifully. Your artistic presence isn't complete without a clean visual portfolio that shows the impact and scale of your work, no matter the medium. We'll paint your digital canvas with your personality, and make sure potential clients know exactly where you'll be showing your work next. 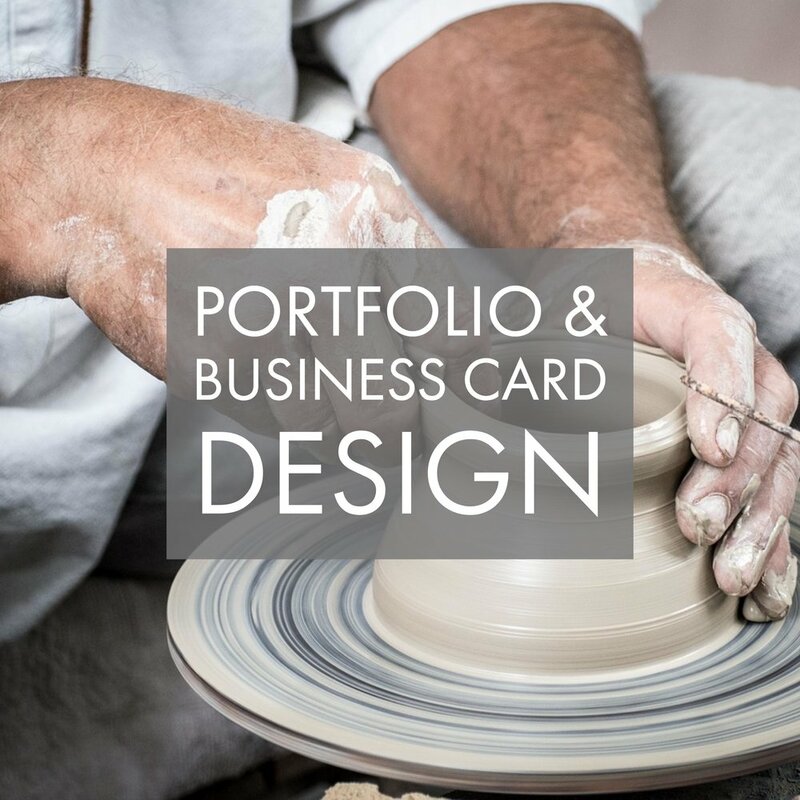 Our unique business card design is perfect for your busier moments. You're much more than a website or portfolio, you're a unique individual who wants to share their artistry and passion with the world! We capture your essence and give you a social network strategy that gels with your cohesive web design. We design a fitting logo and wordmark as a statement piece on who you are. Thanks for considering Wolffs & Amans to create the new digital you! Following our initial meeting, you'll receive a free one-page strategy guide with initial thoughts and suggestions on what we'd improve about your current digital presence. Whether you choose W&A, or one of our friends, we want you to learn along with us!